Wilson Profile XLS Men's RH Complete Set. Titanium Composite 460cc Driver- Weight positioned low and back in the oversized driver launches the ball high for a better ball flight off the tee. Strorng lofted Fwy Wood. HYBRID- The easy-to-hit hybrid features a large sweet spot for accurate shots from the fairway and rough. IRONS- Four playable irons featuring large hittable faces provide forgiveness for developing swing speeds. (2)WEDGES-A heavy sole wedge moves through the golf ball to prevent errant shots close to the green. PUTTER-The heel/toe weighted putter features an alignment aid to promote correct setup to the target. CARRY BAG-The lightweight carry bag features padded straps and a stand for juniors to walk the course. 3 Headcovers for the Driver Fwy and Hybrid. This item cannot be shipped to APO/FPO addresses. Please accept our apologies. 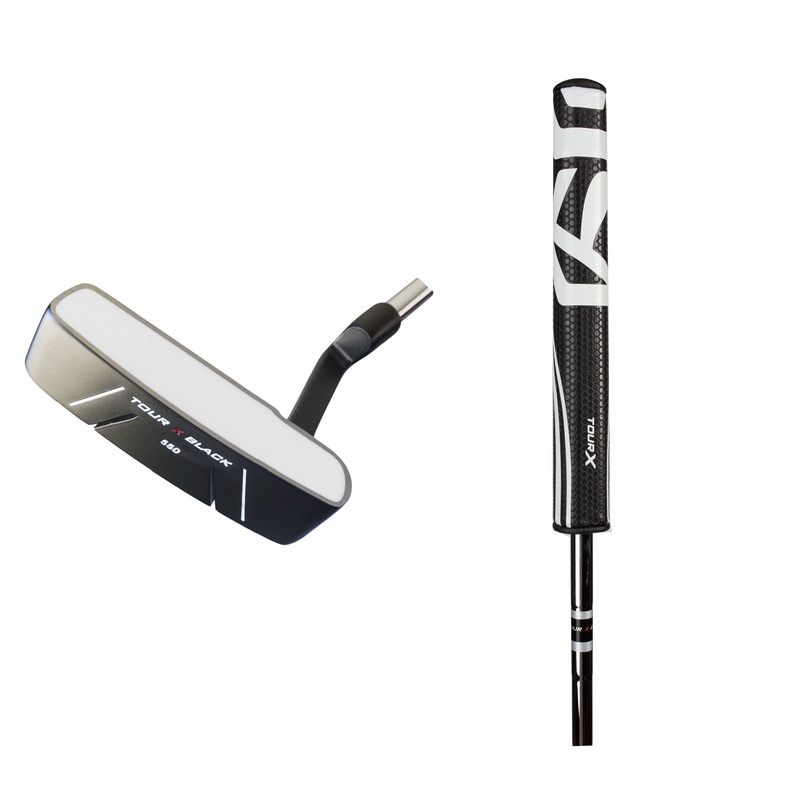 Wilson Profile XLS Ladies RH Set. Complete Set. Titanium Composite 460cc Driver Weight positioned low and back in the oversized driver launches the ball high for a better ball flight off the tee. High lofted Fwy Wood. HYBRID- The easy-to-hit hybrid features a large sweet spot for accurate shots from the fairway and rough. IRONS- Four playable irons featuring large hittable faces provide forgiveness for developing swing speeds. (2) WEDGES-A heavy sole wedge moves through the golf ball to prevent errant shots close to the green. PUTTER-The heel/toe weighted putter features an alignment aid to promote correct setup to the target. CART BAG This stylish lightweight cart bag features ample storage space and a double-padded shoulder strap- 3 Headcovers for the Driver Fwy and Hybrid. This item cannot be shipped to APO/FPO addresses. Please accept our apologies. The KING Junior Complete Set includes 10 KING Jr clubs to maximize distance and forgiveness, plus a full-feature stand bag. 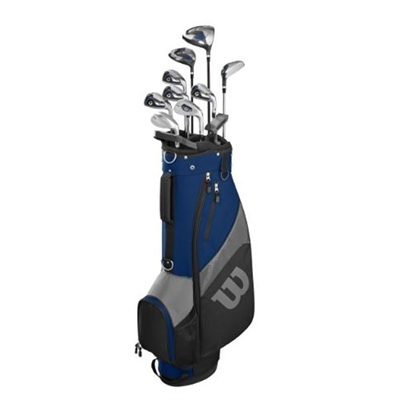 Includes a 460cc titanium driver, fairway wood and hybrid, 6-9 irons, pitching wedge, sand wedge, and gap wedge, blade putter and a lightweight stand bag to fit everything in. 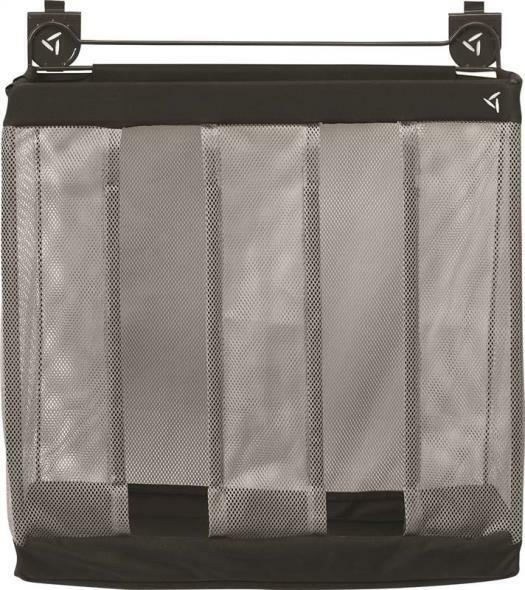 This fashionable Golf Organizer is designed to hold 2 golf bags and is spacious enough to store all necessary golf accessories. Angled construction makes this item easy to fit into tight corners in most basements or garages. 3 Shelves For Shoes, Balls, Rain Gear,etc. The Merchants of Golf Tour X Junior Golf sets are great for beginner golfers. Ages Under 5. Under 3'2" in Height. Includes: 1 - Oversized 3 Wood. 1 - Deep Cavity 7 Iron. 1 - Alignment Style Putter. 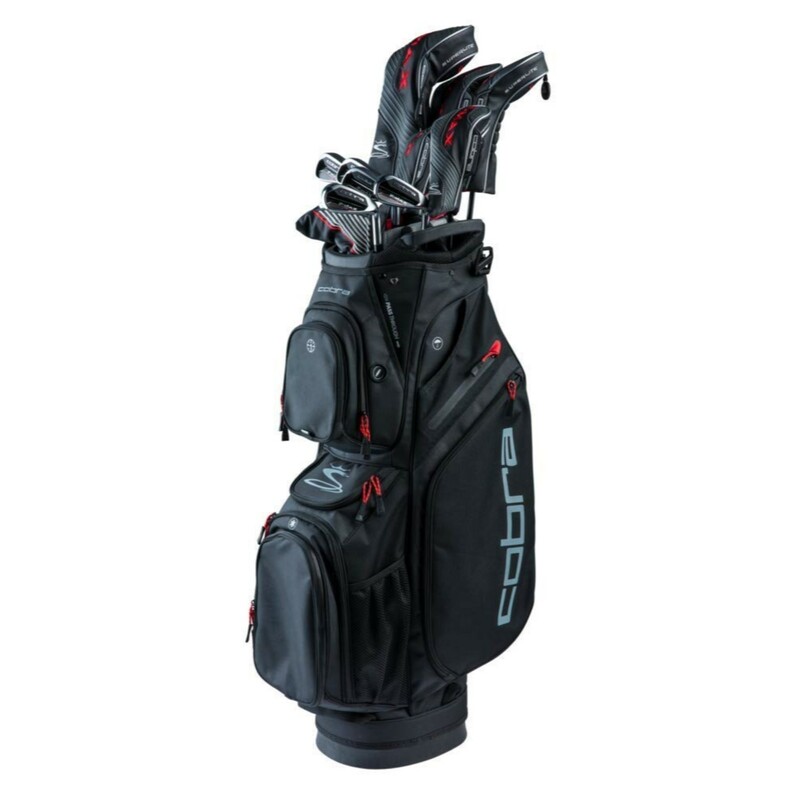 1 - Deluxe Lightweight Stand Bag with Dual Strap. 1 - Matching Headcover. Wilson Profile XLS Men's RH Complete Set- Plus 1'. Titanium Composite 460cc Driver- Weight positioned low and back in the oversized driver launches the ball high for a better ball flight off the tee. Strorng lofted Fwy Wood. HYBRID- The easy-to-hit hybrid features a large sweet spot for accurate shots from the fairway and rough. IRONS- Four playable irons featuring large hittable faces provide forgiveness for developing swing speeds. (2)WEDGES-A heavy sole wedge moves through the golf ball to prevent errant shots close to the green. PUTTER-The heel/toe weighted putter features an alignment aid to promote correct setup to the target. 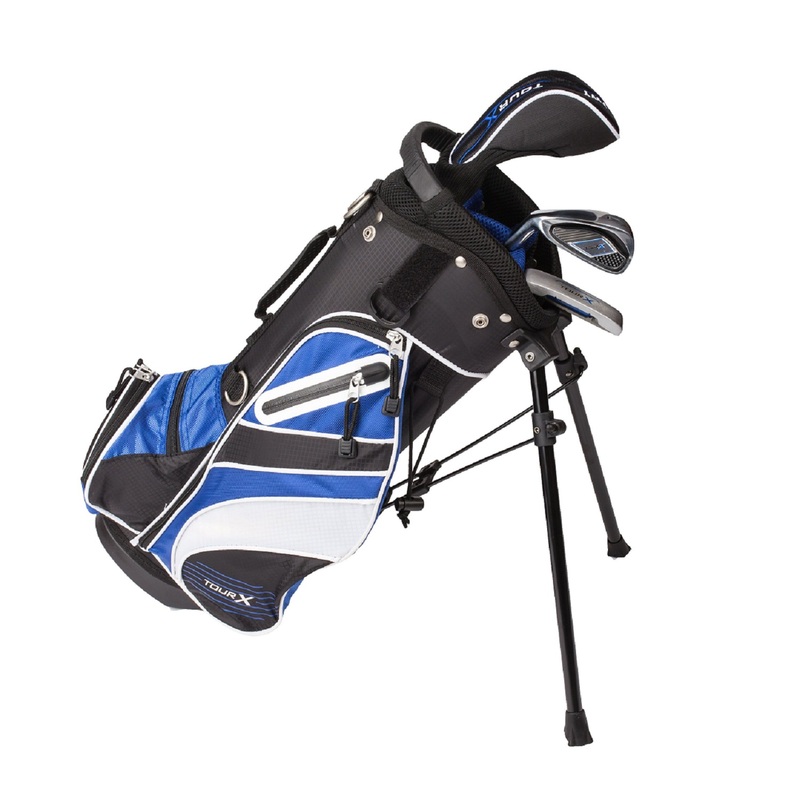 CARRY BAG-The lightweight carry bag features padded straps and a stand for juniors to walk the course. 3 Headcovers for the Driver Fwy and Hybrid. This item cannot be shipped to APO/FPO addresses. Please accept our apologies. 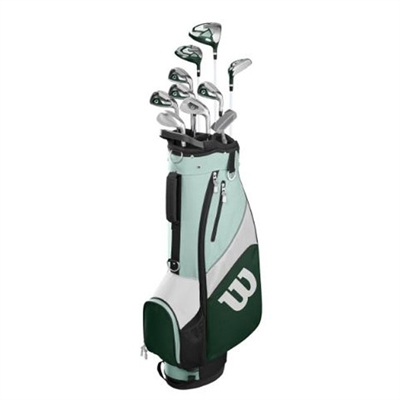 Wilson Profile XLS Men's LH Set. Titanium Composite 460cc Titanium Composite 460cc Driver-Weight positioned low and back in the oversized driver launches the ball high for a better ball flight off the tee. Strorng lofted Fwy Wood. HYBRID- The easy-to-hit hybrid features a large sweet spot for accurate shots from the fairway and rough. IRONS- Four playable irons featuring large hittable faces provide forgiveness for developing swing speeds. (2)WEDGE-A heavy sole wedge moves through the golf ball to prevent errant shots close to the green. PUTTER-The heel/toe weighted putter features an alignment aid to promote correct setup to the target. 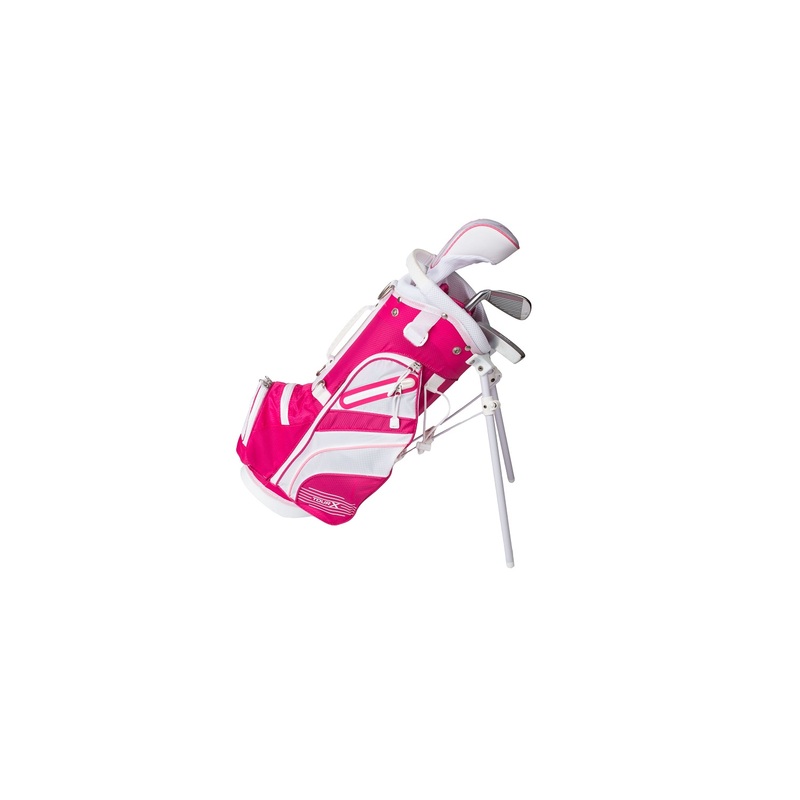 CARRY BAG-The lightweight carry bag features padded straps and a stand for juniors to walk the course. 3 Headcovers for the Driver Fwy and Hybrid. This item cannot be shipped to APO/FPO addresses. Please accept our apologies. The 13-piece women's Cobra XL Speed complete set features lightweight and forgiving driver, fairway woods, hybrids and iron designs that are each engineered to deliver maximum distance and forgiveness. 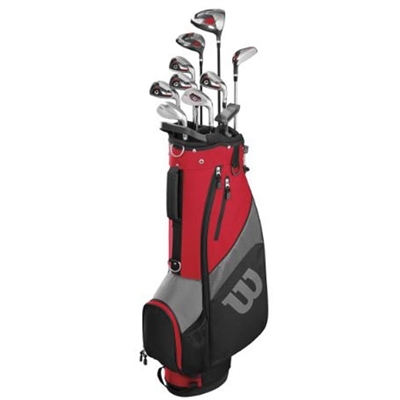 The includes: driver, 3/5/7 wood, 5 hybrid, 6-9 irons, Pitching Wedge, Sand Wedge, Mallet Putter and a Cart Bag. Wilson Profile SGI Men's LH Set. Titanium Composite 460cc Titanium Composite 460cc Driver-Weight positioned low and back in the oversized driver launches the ball high for a better ball flight off the tee. Strorng lofted Fwy Wood. HYBRID- The easy-to-hit hybrid features a large sweet spot for accurate shots from the fairway and rough. IRONS- Four playable irons featuring large hittable faces provide forgiveness for developing swing speeds. (2)WEDGE-A heavy sole wedge moves through the golf ball to prevent errant shots close to the green. PUTTER-The heel/toe weighted putter features an alignment aid to promote correct setup to the target. CARRY BAG-The lightweight carry bag features padded straps and a stand for juniors to walk the course. 3 Headcovers for the Driver Fwy and Hybrid. This item cannot be shipped to APO/FPO addresses. Please accept our apologies. Wilson Profile SGI Men's LH Complete Set- Plus 1'. Titanium Composite 460cc Driver- Weight positioned low and back in the oversized driver launches the ball high for a better ball flight off the tee. Strorng lofted Fwy Wood. HYBRID- The easy-to-hit hybrid features a large sweet spot for accurate shots from the fairway and rough. IRONS- Four playable irons featuring large hittable faces provide forgiveness for developing swing speeds. (2)WEDGES-A heavy sole wedge moves through the golf ball to prevent errant shots close to the green. PUTTER-The heel/toe weighted putter features an alignment aid to promote correct setup to the target. 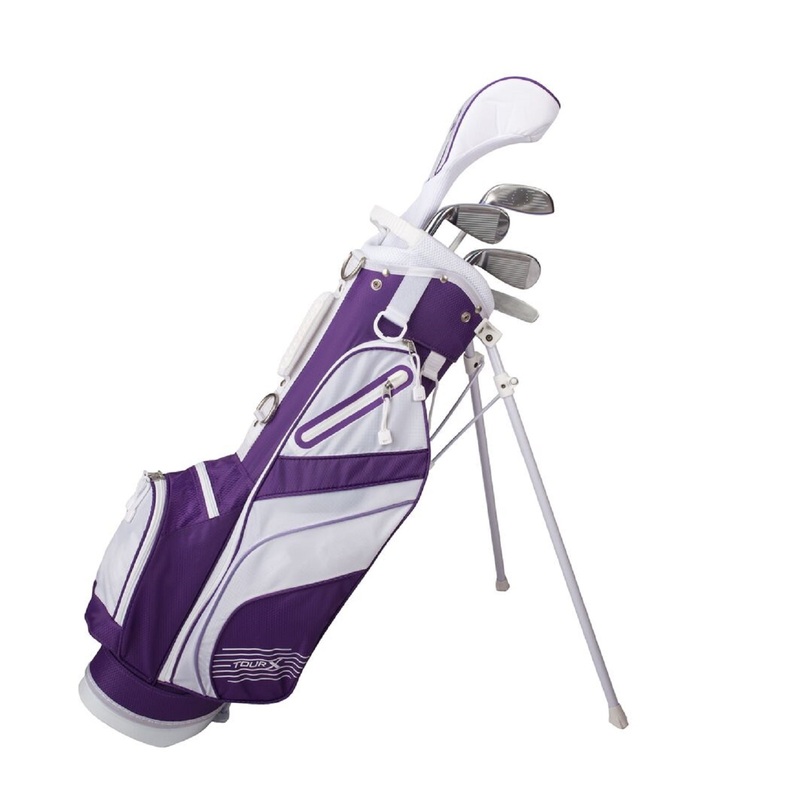 CARRY BAG-The lightweight carry bag features padded straps and a stand for juniors to walk the course. 3 Headcovers for the Driver Fwy and Hybrid. This item cannot be shipped to APO/FPO addresses. Please accept our apologies. Wilson Profile SGI Teen RH Complete Set. Shorter for Teen use. Titanium Composite 460cc Driver Weight positioned low and back in the oversized driver launches the ball high for a better ball flight off the tee. High lofted Fwy Wood. HYBRID- The easy-to-hit hybrid features a large sweet spot for accurate shots from the fairway and rough. IRONS- Four playable irons featuring large hittable faces provide forgiveness for developing swing speeds. (2)WEDGES-A heavy sole wedge moves through the golf ball to prevent errant shots close to the green. PUTTER-The heel/toe weighted putter features an alignment aid to promote correct setup to the target. CART BAG This stylish lightweight cart bag features ample storage space and a double-padded shoulder strap- 3 Headcovers for the Driver Fwy and Hybrid. This item cannot be shipped to APO/FPO addresses. Please accept our apologies. 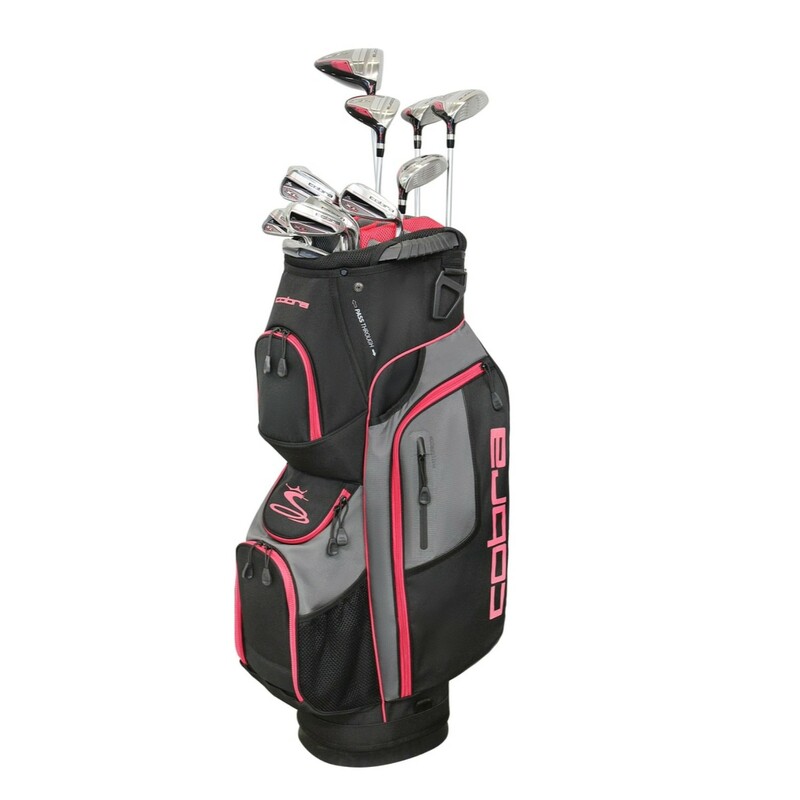 The FMAX women's Superlite premium Complete Set includes a full set of COBRA's lightest and most forgiving clubs, and a full-featured cart bag to get golfers course-ready in style. Incorporating Superlite technologies, this all-in-one set is designed to help women golfers with moderate swing speeds generate more power to launch it higher, longer, and straighter. Wilson Profile SGI Ladies LH Set. Complete Set. Titanium Composite 460cc Driver Weight positioned low and back in the oversized driver launches the ball high for a better ball flight off the tee. High lofted Fwy Wood. HYBRID- The easy-to-hit hybrid features a large sweet spot for accurate shots from the fairway and rough. IRONS- Four playable irons featuring large hittable faces provide forgiveness for developing swing speeds. (2) WEDGES-A heavy sole wedge moves through the golf ball to prevent errant shots close to the green. 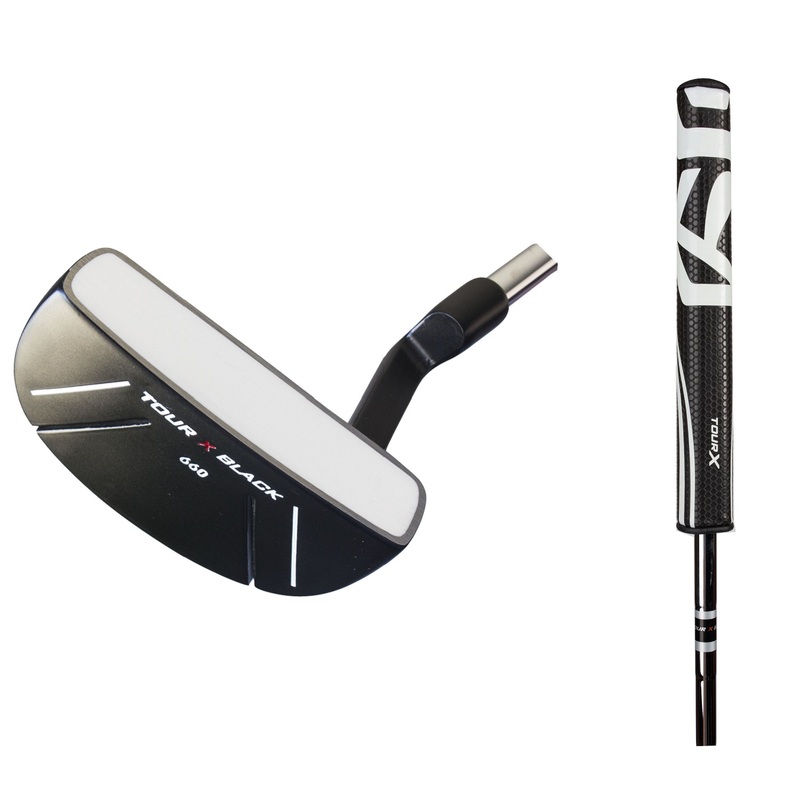 PUTTER-The heel/toe weighted putter features an alignment aid to promote correct setup to the target. CART BAG This stylish lightweight cart bag features ample storage space and a double-padded shoulder strap- 3 Headcovers for the Driver Fwy and Hybrid. This item cannot be shipped to APO/FPO addresses. Please accept our apologies. Wilson Profile SGI Ladies RH Set. Complete Set. Titanium Composite 460cc Driver Weight positioned low and back in the oversized driver launches the ball high for a better ball flight off the tee. High lofted Fwy Wood. HYBRID- The easy-to-hit hybrid features a large sweet spot for accurate shots from the fairway and rough. IRONS- Four playable irons featuring large hittable faces provide forgiveness for developing swing speeds. (2) WEDGES-A heavy sole wedge moves through the golf ball to prevent errant shots close to the green. PUTTER-The heel/toe weighted putter features an alignment aid to promote correct setup to the target. CART BAG This stylish lightweight cart bag features ample storage space and a double-padded shoulder strap- 3 Headcovers for the Driver Fwy and Hybrid. This item cannot be shipped to APO/FPO addresses. Please accept our apologies. Wilson Profile Junior Blue Left Handed Set. Ages 11-14. Complete 9-piece set includes; DRIVER- Weight positioned low and back in the oversized driver launches the ball high for a better ball flight off the tee. HYBRID- The easy-to-hit hybrid features a large sweet spot for accurate shots from the fairway and rough. IRONS- Two playable irons featuring large hittable faces provide forgiveness for developing swing speeds. WEDGE-A heavy sole wedge moves through the golf ball to prevent errant shots close to the green. PUTTER-The heel/toe weighted putter features an alignment aid to promote correct setup to the target. CARRY BAG-The lightweight carry bag features padded straps and a stand for juniors to walk the course. 2 Headcovers for the Driver and Hybrid. This item cannot be shipped to APO/FPO addresses. Please accept our apologies. Wilson Profile Junior Teal Right Handed Set. Ages 11-14. Complete 9-piece set includes; DRIVER- Weight positioned low and back in the oversized driver launches the ball high for a better ball flight off the tee. HYBRID- The easy-to-hit hybrid features a large sweet spot for accurate shots from the fairway and rough. IRONS- Two playable irons featuring large hittable faces provide forgiveness for developing swing speeds. WEDGE-A heavy sole wedge moves through the golf ball to prevent errant shots close to the green. PUTTER-The heel/toe weighted putter features an alignment aid to promote correct setup to the target. 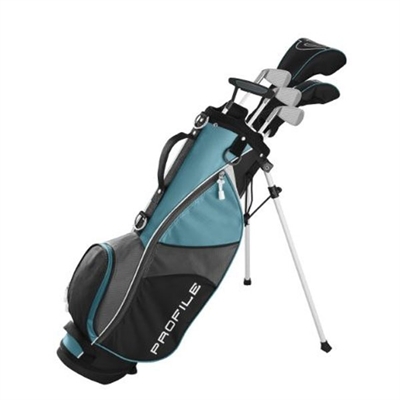 CARRY BAG-The lightweight carry bag features padded straps and a stand for juniors to walk the course. 2 Headcovers for the Driver and Hybrid. This item cannot be shipped to APO/FPO addresses. Please accept our apologies. Wilson Profile Junior Red Right Handed SmallSet. Ages 4-7. Complete 9-piece set includes; DRIVER- Weight positioned low and back in the oversized driver launches the ball high for a better ball flight off the tee. HYBRID- The easy-to-hit hybrid features a large sweet spot for accurate shots from the fairway and rough. IRONS- Two playable irons featuring large hittable faces provide forgiveness for developing swing speeds. WEDGE-A heavy sole wedge moves through the golf ball to prevent errant shots close to the green. PUTTER-The heel/toe weighted putter features an alignment aid to promote correct setup to the target. 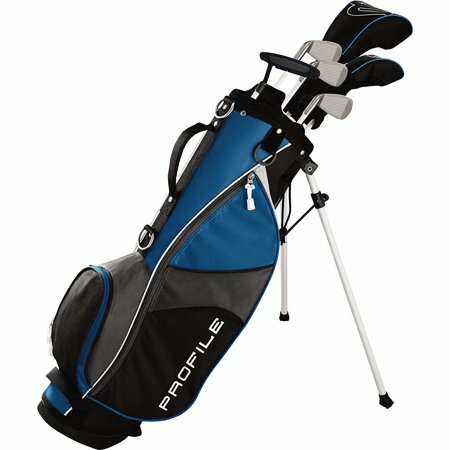 CARRY BAG-The lightweight carry bag features padded straps and a stand for juniors to walk the course. 2 Headcovers for the Driver and Hybrid. This item cannot be shipped to APO/FPO addresses. Please accept our apologies. 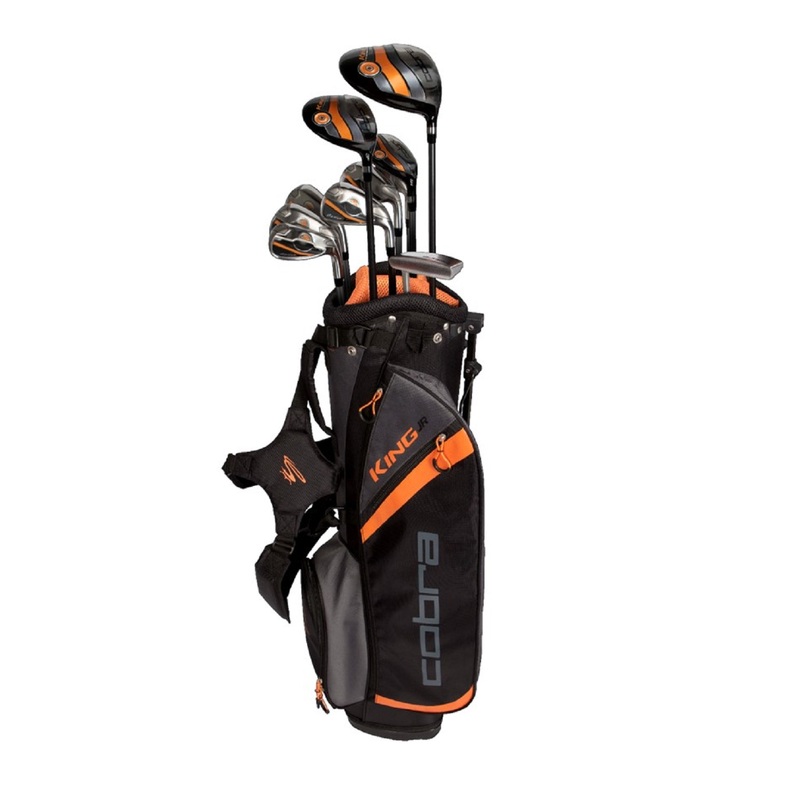 The FMAX Superlite premium Complete Set includes a full set of COBRA's lightest and most forgiving clubs, and a full-featured cart bag to get golfers course-ready in style. Incorporating Superlite technologies, this all-in-one set is designed to help golfers with moderate swing speeds generate more power to launch it higher, longer, and straighter. The Merchants of Golf Tour X Junior Golf sets are great for beginner golfers. Ages 8-11. 3'10" to 4'6" in Height. Age Specific Graphite Shaft. Includes: 1 - Oversized Driver. 1 - Perimeter Weighted Hybrid. 2 - Deep Cavity Irons (7 and 9 iron). 1 - Alignment Style Putter. 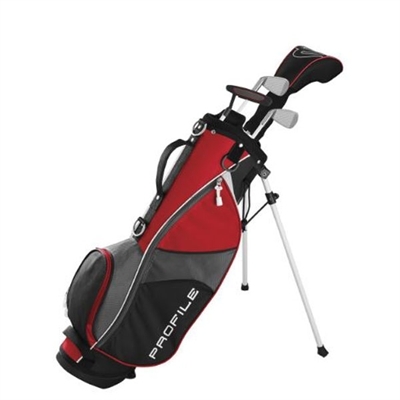 1 - Deluxe Lightweight Stand Bag with Dual Strap. 1 - Matching Headcover. Wilson Profile SGI Teen LH Complete Set. Shorter for Teen use. Titanium Composite 460cc Driver Weight positioned low and back in the oversized driver launches the ball high for a better ball flight off the tee. High lofted Fwy Wood. HYBRID- The easy-to-hit hybrid features a large sweet spot for accurate shots from the fairway and rough. IRONS- Four playable irons featuring large hittable faces provide forgiveness for developing swing speeds. (2)WEDGES-A heavy sole wedge moves through the golf ball to prevent errant shots close to the green. PUTTER-The heel/toe weighted putter features an alignment aid to promote correct setup to the target. CART BAG This stylish lightweight cart bag features ample storage space and a double-padded shoulder strap- 3 Headcovers for the Driver Fwy and Hybrid. This item cannot be shipped to APO/FPO addresses. Please accept our apologies. Wilson Profile SGI Men's Senior RH Complete Set. Titanium Composite 460cc Driver Weight positioned low and back in the oversized driver launches the ball high for a better ball flight off the tee. Strorng lofted Fwy Wood. HYBRID- The easy-to-hit hybrid features a large sweet spot for accurate shots from the fairway and rough. IRONS- Four playable irons featuring large hittable faces provide forgiveness for developing swing speeds. (2)WEDGES-A heavy sole wedge moves through the golf ball to prevent errant shots close to the green. PUTTER-The heel/toe weighted putter features an alignment aid to promote correct setup to the target. 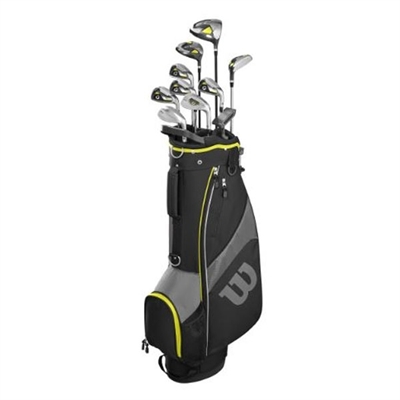 CART BAG-This stylish lightweight cart bag features ample storage space and a double-padded shoulder strap 3 Headcovers for the Driver Fwy and Hybrid. This item cannot be shipped to APO/FPO addresses. Please accept our apologies. Wilson Profile SGI Men's Senior LH Complete Set. Titanium Composite 460cc Driver Weight positioned low and back in the oversized driver launches the ball high for a better ball flight off the tee. Strorng lofted Fwy Wood. HYBRID- The easy-to-hit hybrid features a large sweet spot for accurate shots from the fairway and rough. IRONS- Four playable irons featuring large hittable faces provide forgiveness for developing swing speeds. (2)WEDGES-A heavy sole wedge moves through the golf ball to prevent errant shots close to the green. PUTTER-The heel/toe weighted putter features an alignment aid to promote correct setup to the target. 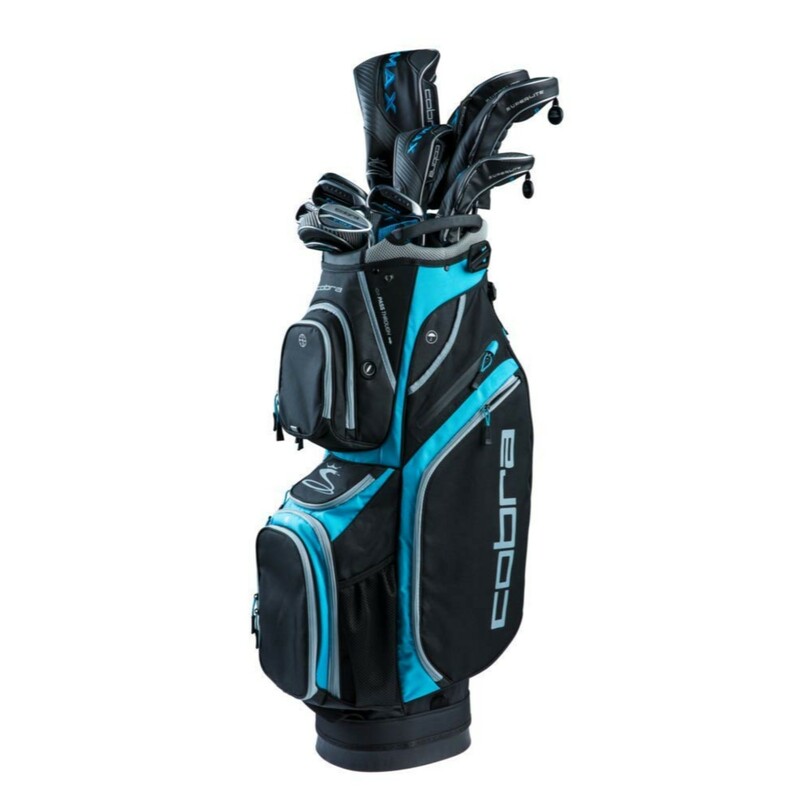 CART BAG-This stylish lightweight cart bag features ample storage space and a double-padded shoulder strap 3 Headcovers for the Driver Fwy and Hybrid. This item cannot be shipped to APO/FPO addresses. Please accept our apologies. Wilson Profile SGI Ladies RH Set. Complete Set. Titanium Composite 460cc Driver Weight positioned low and back in the oversized driver launches the ball high for a better ball flight off the tee. High lofted Fwy Wood. HYBRID- The easy-to-hit hybrid features a large sweet spot for accurate shots from the fairway and rough. IRONS- Four playable irons featuring large hittable faces provide forgiveness for developing swing speeds. (2) WEDGES-A heavy sole wedge moves through the golf ball to prevent errant shots close to the green. 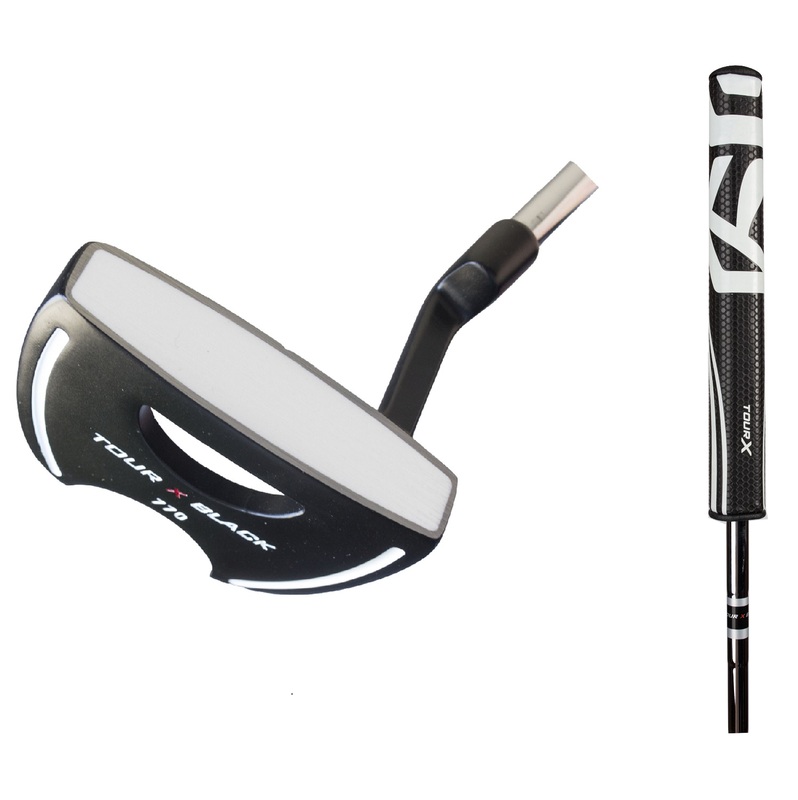 PUTTER-The heel/toe weighted putter features an alignment aid to promote correct setup to the target. 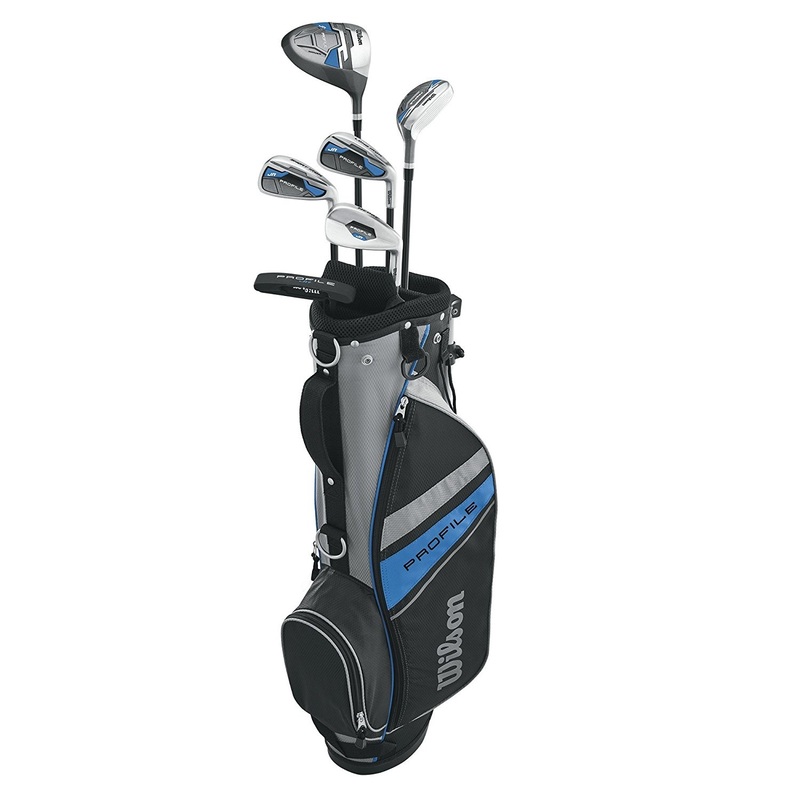 CARRY BAG This stylish lightweight cart bag features ample storage space and a double-padded shoulder strap- 3 Headcovers for the Driver Fwy and Hybrid. This item cannot be shipped to APO/FPO addresses. Please accept our apologies.